Adelaide Ink Plus provides recycled printer cartridges at affordable prices to reduce your cost per page to print while ensuring decent print quality. We are also your one-stop shop for Toners And Inks. We are Adelaide’s leading wholesale and retail source for premium quality and recycled inkjet cartridges, inkjet refills, laser toner cartridges and copier toner cartridges. Backed by our famous 100% Guarantee, our superior prices and first-class quality products, you’ll never have to shop anywhere again! 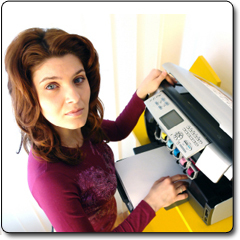 Adelaide Ink Plus provides printer cartridge recycling services in Adelaide. We take exhausted ink and toner cartridges, refill and sell them at a discounted price. If you want more cost-effective printing, then Compatible or Factory Re-manufactured cartridges will save you heaps of $’s. Compatible Cartridges are “Brand New” and 100% clean, with new chips, and are a great option. You can expect the same performance and yield as an OEM cartridge. But if you don’t mind the price, we will always recommend Genuine/OEM Cartridges. Refilling cartridges have proven to be much less reliable than the above mentioned choices and quality is decreased. In reality, you would be mixing a new non genuine ink with the dried remnants of the previous (probably different brand) ink. In some instances , for various reasons, certain cartridges can be very unreliable if refilled- and are totally unsuitable for refilling or future use. Generally, buying a better or slightly dearer printer circumvents some of these problems.